A little effort can make a big difference in how long it takes to sell a used car or truck and how much you can make on the deal. 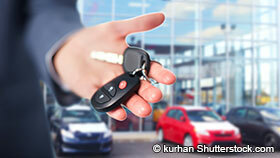 You generally get the most money for a vehicle by selling it yourself to a private buyer. It takes more work than just trading it in to a dealer, but you can make hundreds or thousands of dollars more than you would with a trade-in. These 7 smart moves can help you sell your used vehicle as quickly as possible for the best possible price. Smart move 1. Clean up your car or truck. You only get one chance to make a first impression. You want it to be a good one, because it's one way potential buyers will judge how well you took care of any auto. 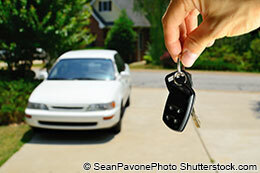 The outside is more important than the inside when you are getting the vehicle ready to sell. Use touch-up paint to fix small nicks and scratches before washing and waxing. Remove all trash, then vacuum the seats and carpet. Don't forget the trunk. If the upholstery is torn or heavily worn, invest a few bucks in cheap seat covers. It isn't necessary to spend more time and money than that. Big-ticket items like new tires might help a vehicle sell more quickly but usually won't bring a higher selling price. Smart move 2. Ask the right price. The Internet has made it easy to find out what any used car or truck is worth. Just go to the website for Kelley Blue Book (kbb.com), find the section for help if you plan to sell your car yourself and fill in the information required. 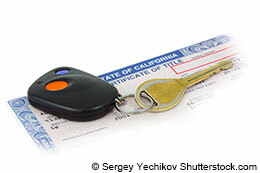 The site can give you an up-to-date value for your car. You can also look at Edmunds.com or check local sales ads to get an idea of prices for similar vehicles in your area. Most buyers are going to look at the same sources to find what your car is worth, and they'll expect your price to be within the range established by those websites. Smart move 3. Advertise online and include lots of photos. You can put your car or truck on Craigslist or other websites, such as AutoTrader.com, for little to no cost. Also, post on Facebook and other social media to let your friends know you’re selling your ride. Word of mouth still works. Include photos, because they can make your car or truck stand out from all of the other ads competing for attention. 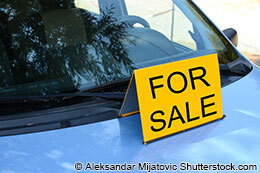 Buyers often ignore online posts that don't include at least a couple of shots of the vehicle up for sale. So put up as many photos as possible. Don't just shoot the photos in your driveway. Take the vehicle to a spot with an attractive background and photograph it from several angles. Also, shoot the photos on a clear day and be sure to include images of the interior. Smart move 4. Be creative with your ad writing. This is marketing. You need to grab the reader's attention with the first line or two of your ad. Emphasize the unique features that prompted you to buy your vehicle or the attributes you've found that make it particularly fun to drive or a great family car. Don’t forget to include the car’s make, model and mileage information. And be honest about the car’s condition. Even if it's not perfect, if it’s priced correctly and presented well, there are likely to be interested buyers. Save all of the mundane stuff found on most cars, such as power windows, automatic transmissions and air conditioning, for the end of the ad. Customer-satisfaction surveys are all well and good, but we believe actions speak louder than words. The real measure of how owners feel about their rides is whether they buy the same vehicle a second. Or even third time. So here are 7 cars and trucks people buy again and again. These are vehicles you can live with for the long haul without getting bored or disappointed. Smart move 5. Tout your maintenance records. Gather all repair bills in chronological order in a file folder, including receipts for routine maintenance like oil changes. Then invest a few bucks in an independent history on your car or truck -- $29.99 from AutoCheck, $39.99 at CARFAX. 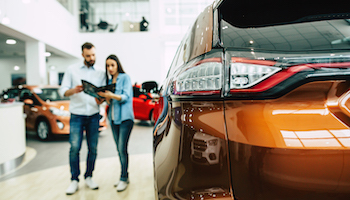 A "clean" report shows that your vehicle wasn't rebuilt after an accident, damaged in a flood or been the subject of a lemon law complaint -- the three things used-car buyers fear most. Put a line in your ad that says you have all of those records and offer to show them to potential buyers as proof the vehicle has been well cared for and there aren't any mechanical problems you haven't dealt with. Smart move 6. Be available. Make contacting you as fast and effortless as possible by answering the phone and immediately responding to emails from your ads. Potential buyers might only try to reach you once before moving on to the next ad. Once a buyer contacts you and expresses interest, be willing to accompany them on a test-drive. Even after you show the maintenance records, some people might want the car inspected by an independent auto mechanic. It’s a reasonable request if the buyer is willing to pay for the inspection. Be prepared to set aside time to drive the car to their mechanic’s shop. Smart move 7. Seal the deal and transfer the title. A buyer might offer a price that’s slightly less than what you’re asking for. Consider negotiating, but not by too much. If you did your price research up front, you should expect a reasonable offer. Once you’re ready to seal the deal, check with the DMV for your state’s rules on transferring ownership. You’ll probably receive the money by cashier’s check or cash, and you generally have to sign the title over and provide the buyer with a bill of sale. Also, don’t forget to cancel your car insurance policy.